Sticks and Bricks – Extraordinaire! A common RVing term is to refer to a regular home as “sticks and bricks.” We no longer have a “sticks and bricks”, having sold it in May, but that doesn’t mean we can’t appreciate a good home. We’ve seen two of them in the past week! 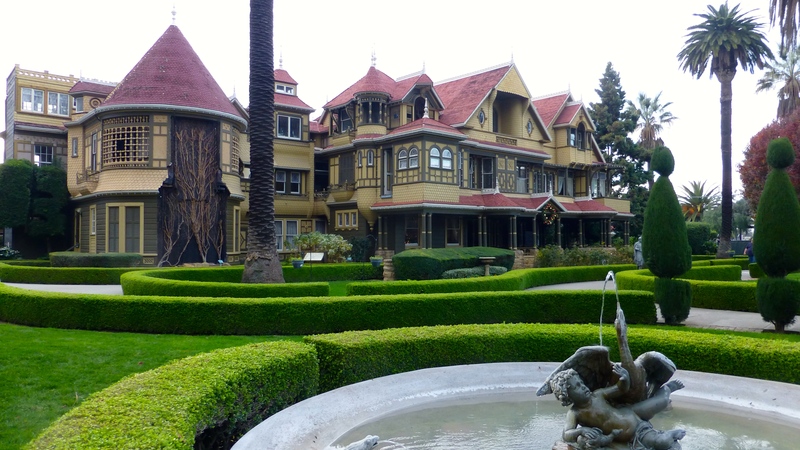 While staying near San Jose, California, we toured the Winchester Mystery House. This house has 160 rooms and we saw 110. We also saw stairs that went into the ceiling, doors that opened to nowhere, switchback stairs and on and on. 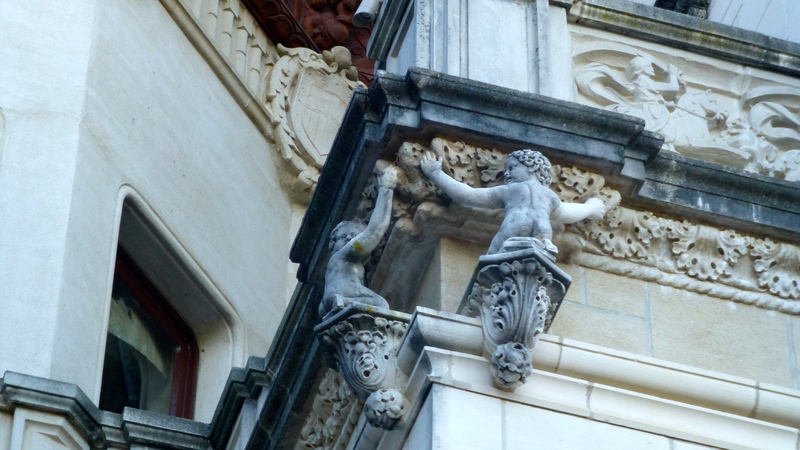 The mystery is – why is the house so odd? The prevailing theory is that Sarah Winchester, widow of the Winchester Rifle family heir, was very concerned about spirits and often held seances. She was told by a medium that she would be pursued by the spirits of those who fell victim to Winchester guns. She believed that she needed to find and continue to build onto a house to confuse the spirits that would try to find her. She started with an 8 room farmhouse outside of San Jose and construction continued 24/7 for 38 years, stopping only at her death in 1922. Obviously, she was perceived as being somewhat eccentric. But, she was also very business savvy. She had plenty of money given her 1880’s $20,000,000 inheritance and $1000 per day stipend for life. Yet she operated 160 acres of land in orchards, selling prunes, so the estate was self sustaining. She had many innovative systems in her home and on her farm. At 160 rooms and 24,000 square feet of mazed rooms and hallways, the Winchester House is dwarfed by the second “sticks and bricks” we toured! 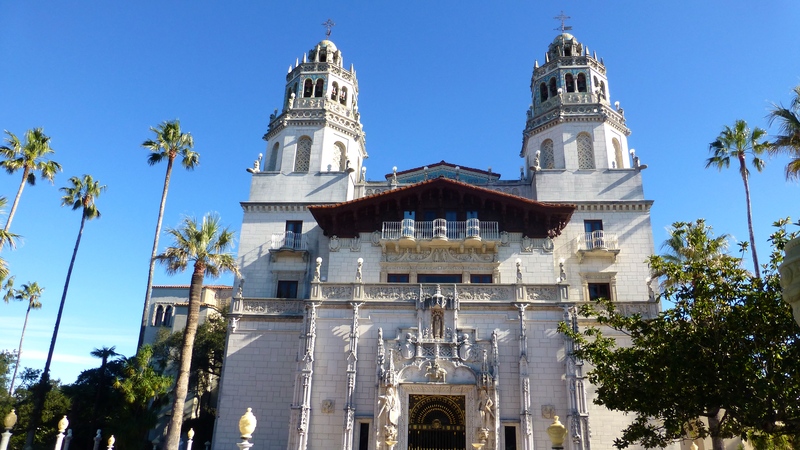 Actually the Hearst Castle can’t rightly be called “sticks and bricks.” Due to earthquake concerns along the central California coast, the Hearst Castle is made almost entirely of reinforced concrete. 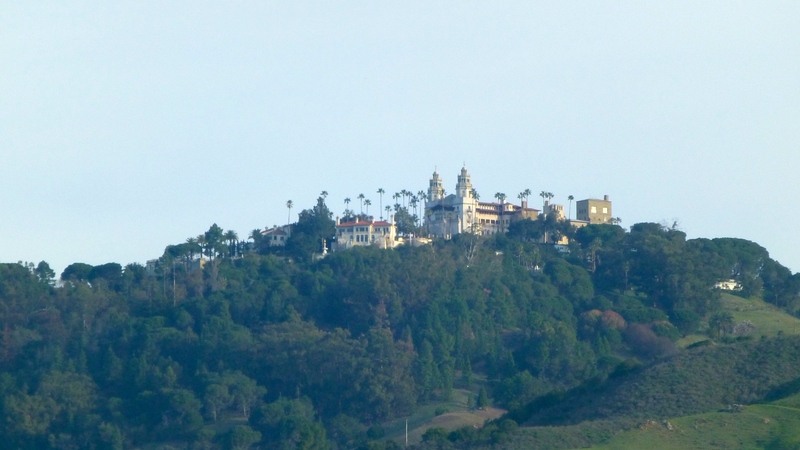 William Randolph Hearst’s family had camped on the hilltop overlooking the ocean for years and it was his favorite spot in the world. The family ranch stretched for thousands of acres along the coast up into the hills. As an adult, he had wanted to build “a little something” up there but his mother would not allow it because she felt he might over do it. She knew her son. After his mother’s death, he contracted with a female architect in San Francisco and they worked together on the estate for 28 years. Building and furnishing continued until his death at age 88, and yet some still remains undone. As a child Willie Hurst traveled with his mother to Europe and spent 18 months experiencing all the culture they could absorb. Much of his fascination with art and architecture began with that trip. 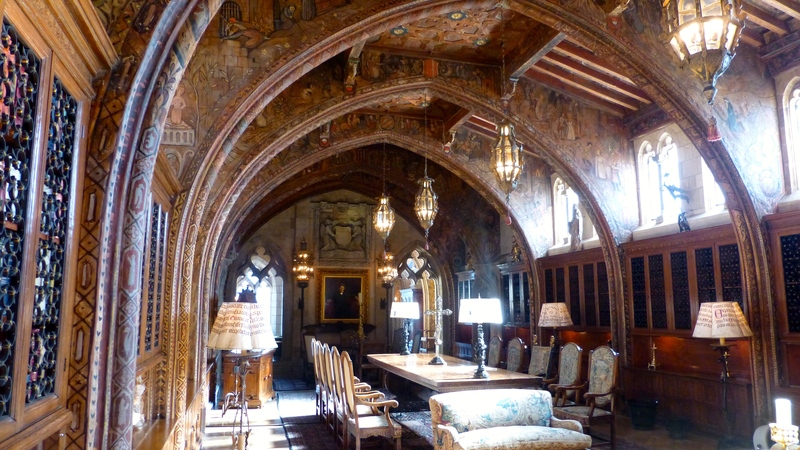 The architecture of the castle and grounds is described as Mediterranean Gothic and the home is furnished with European art, much of which was purchased after World War II. One tour guide said that while Hearst encouraged people to “buy American”, he was buying half of Europe. 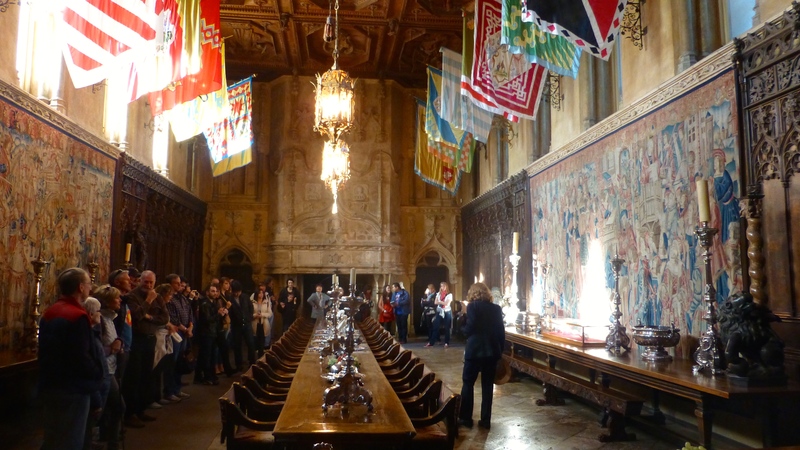 Of course, with his publishing and movie empire, the castle hosted all the important people of the day. 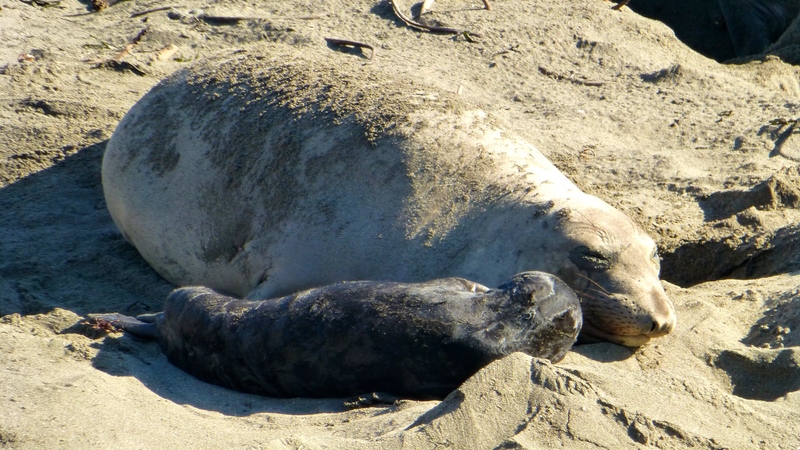 The home, furnishings and grounds are now part of the California State Park system. The acres around the home are still a working Hearst Ranch. It was a fascinating way to spend a day. 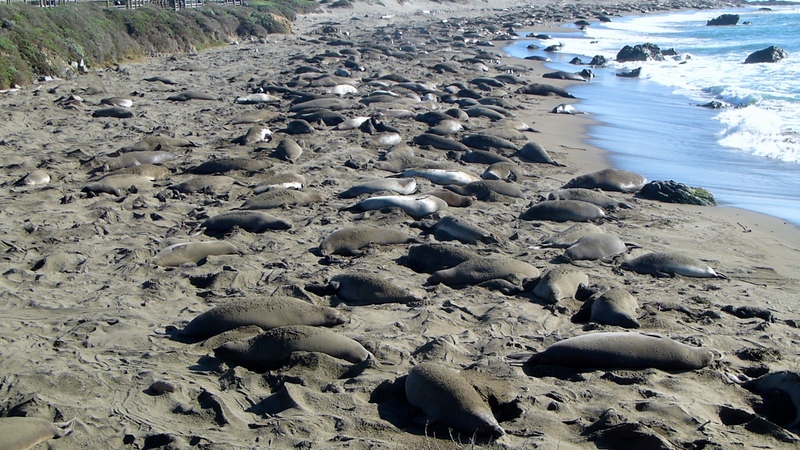 A few miles down the coast from the Hearst Castle is a rookery for elephant seals. There were 100s! It is calving season so there were quite a few babies. We definitely enjoyed that stop. Another activity we enjoyed in this area of the coast was connecting up with friends from Boise. Friends Greg and Jackie were in the area for a vacation and invited us for dinner. 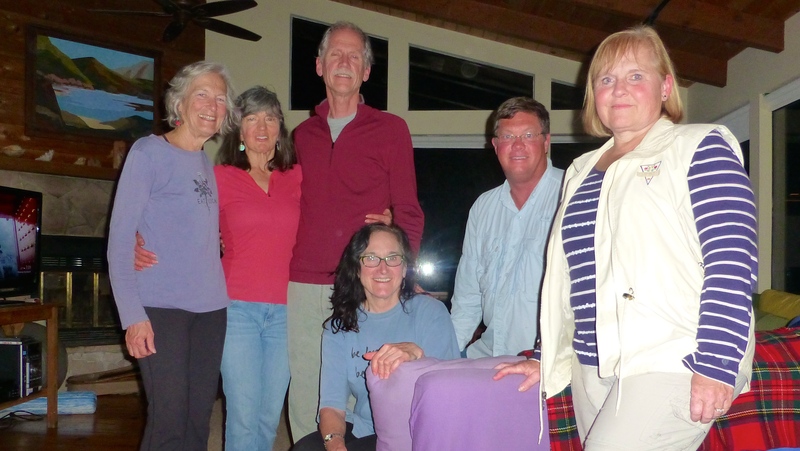 We were then able to meet their friends, Joyce and Debra. It is so great to see people from home while we are on the road! 6 Responses to Sticks and Bricks – Extraordinaire! You are doing a great job of “teaching us” in your blog. Thanks! Once a teacher….. good thing for you all I can move beyond letters and sounds! More cousins lived about 1 mile from the castle. Gorden’s and Ardell’s still live in San Jose area. You would enjoy that history too and cousins. Ask your Mom and Dad more? Heading toward Yuma,too? Love your blog. Knew about the San Jose cousins, but not the castle ones! Fischer cousins everywhere 🙂 !! Heading to Quartzite last week in January and will drive down one day to see you in Yuma! Looking forward to it! It’s been way too long since we communicated with you. I just love your blog. I can tell you are having a wonderful time together. You make me want to go wandering. Your pictures are beautiful and you are such a good blogger. 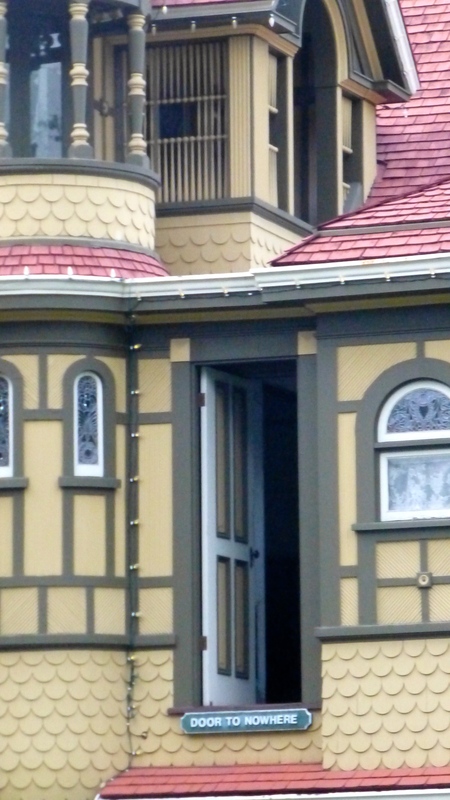 The Winchester Mystery House was pretty cool and crazy. 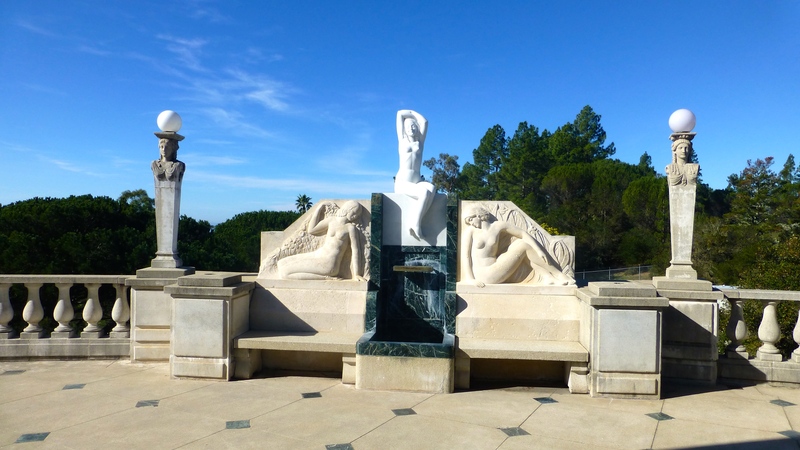 You also brought back memories from years ago – when our family went to the Hearst Castle, the Monterey Aquarium and Cannery Row. Mexico looked wonderful. Gary and I were at Cape Blanco and the Redwoods last fall. Too bad we missed your timing. So glad you enjoyed your Christmas with family. We also had several family members over the Christmas holidays. We are going to have another grandchild (a boy) at the end of January, so I will be going to Arizona to help for eight days. Kurt and Amy are having their fifth and last child. It will be nice to be in warm weather. However, Gary and I have gotten a few days of great skiing at Bogus. It was exciting to watch Boise beat Arizona in the Fiesta Bowl. We really wanted them to win. Bryan Harsin is our good friends (Rick and Lori Hulbert) son-in-law and they say he is a wonderful person. We really miss you two. Give us a call when you’re back in Boise and have some time. Congrats on the coming new grandson! We sure miss ours. I’m glad our travels can bring back some good memories. For sure we’ll want to get together in April.